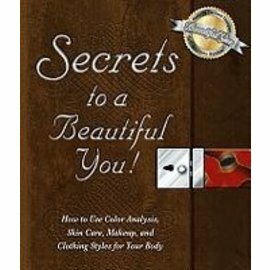 Secrets to a Beautiful You - Carol Thompson Images, Inc. Discover All My Best Beauty Secrets... in ""Secrets to a Beautiful You"" Isn't it frustrating that some women seem to have the beauty secrets to just look so wonderful all the time, with apparently very little effort? Rest assured if you take the time, you too can be the woman envied. For best results, there is a system in place to help you discover a new you. In my book "Secrets to a Beautiful You", I have designed a system where you will learn how to identify YOUR personal beauty secrets, to enhance your natural beauty.